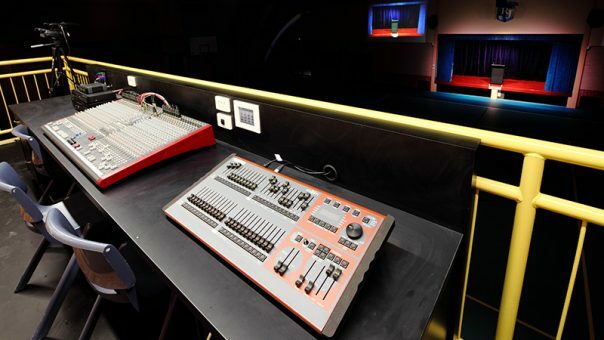 The scope of work was to provide a sound reinforcement system suitable for School productions including Drama productions, live bands and musicals. 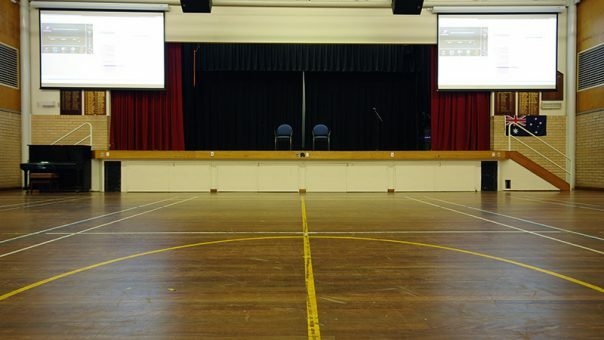 The system needed to be also suitable for general use for non-technical users, such as assemblies, dance performances. 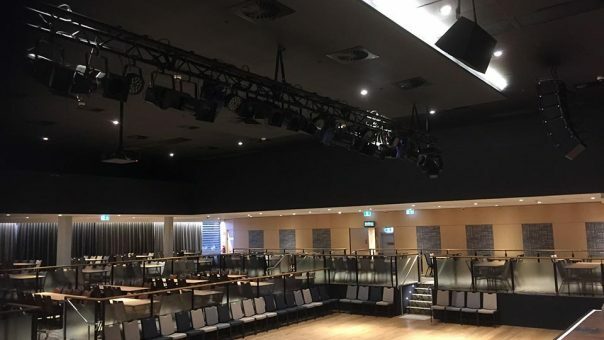 We were to work with the architects and builders to provide a system and room designs to suit the Audio Visual and stage lighting portion of the building design. Design the system to be ‘Ball’ Proof, and suitable for outdoor use. As the schools preferred Audio visual installer The school approached us to design a suitable system for the space and requirements of the school with enough headroom for both everyday use and the occasional larger events the school holds. 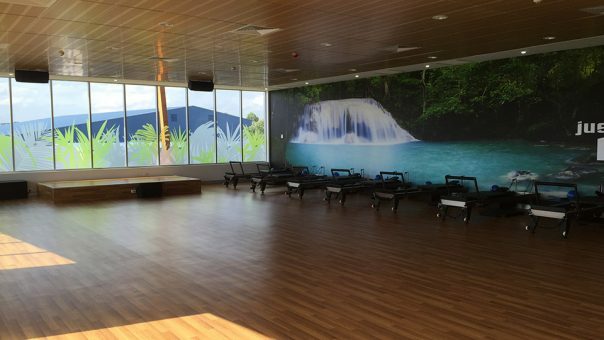 After meeting with the school and designing a system to meet their requirements we managed to provide the school with a system that would provide enough throw to cover all the way to the rear of the audience, but also perform well in a space completely made up of hard reflective surfaces. Using the EV Horn loaded EVH speakers we were able to provide a speaker system that covered all the requirements of the performing space. By using the matching Sub, we arrayed the Speakers together to provide a small format, full range speakers system. Part of the system requirements was a production lighting system for theatrical style lighting across the stage area. To protect these fixtures from Balls, we custom fabricated a ball deflection panel to cover the majority of the lighting truss. Another requirement of the school was to have a projector for video presentation. Being an outdoor area this creates some challenges. 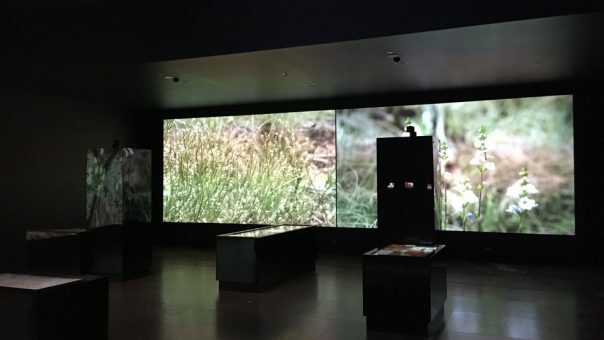 To best overcome the challenges we utilised a solid custom screen, to prevent it being blown around like a large wind sail, and coated it in a high contrast screen surface, to improve the contrast for use in the high ambient light application. To protect the projector from dust and sports balls, we housed the projector in a sealed projector lift, which exposes the projector only when required. As this was a small space and acoustically challenged, we had to supply a system which includes subwoofers, control of sound dispersion within a highly reverberant room, but be as compact as possible to not take up too much space. The speaker system we chose for this room was a constant curvature style line array, this allowed us to tighten the vertical dispersion, to avoid reflections from the back of the room. As well as stack the subs as part of the array, to save space, as there was no floor space available for the subs. We employed an acoustic technician to provide detailed room treatment advice to provide the school with a complete audio solution, to get the most out of the space.